The transmission of a vehicle is what gives the driver the ability to switch gears by using the shift stick. If it is an automatic vehicle, the driver doesn’t even need to worry about changing gears while driving. The only thing they need to do is switch the gear position to Park, Drive, Reverse, etc. But if it is a manual transmission, then a driver must frequently change gears throughout the course of their driving. There are a lot of complex components, passageways, valves and features inside of a vehicle’s transmission which make it all happen. The transmission depends on the transmission valve body more than any other component. 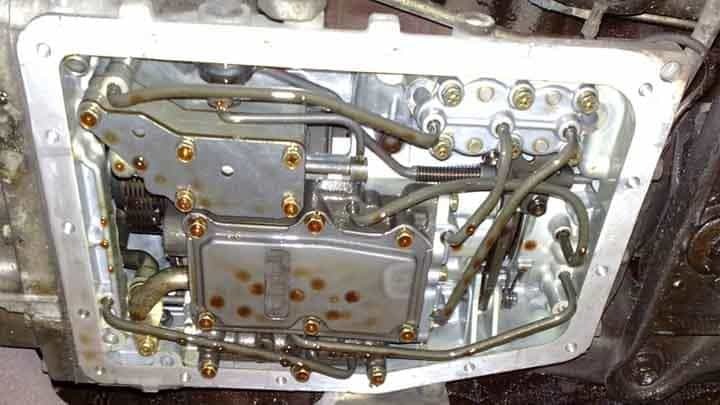 It is directly linked to the transmission computer for the purpose of regulating the flow of transmission fluid to different hydraulic valves within the transmission. It is crucial that the valves get their transmission fluid or else the entire transmission will cease to function properly. Transmission fluid sustains the operation of the transmission. It is not just some lubricant that keeps the parts cooled down as you see with the oil of an engine. Transmission fluid, also known as hydraulic fluid, enables the gear clusters to shift into the proper position. If you have a transmission valve body that is too worn down or damaged in some way, there won’t be enough pressure for the transmission fluid to enter the appropriate valves within the body. This will create all kinds of shifting issues which will impair your driving ability. It will be easy to notice when you have a bad transmission valve body because there will be so many annoying symptoms that will come up. These symptoms will be hard to avoid, so you might as well face them by doing something to solve the problem. Otherwise, your transmission might suffer severe damage that is irreversible. Then you will be shelling out a lot of money to repair the transmission or possibly even replace it. So, pay attention to the symptoms and replace the transmission valve body as soon as it goes bad. Below are the top 5 symptoms of a bad transmission valve body. 1) Delays in Shifting – When you go to use the stick shift to change gears, there will be a slight delay in the shift being recognized by the transmission. For instance, if you have stopped the vehicle and you want to shift from drive to reverse, it might take a few extra seconds for the reverse function to be activated. During this time, the gear will remain in neutral until the changed gear takes effect. This is not a huge deal in an automatic, but it does create an annoying situation for the driver. 2) Trouble Downshifting – Sometimes a bad transmission valve body will make it impossible to perform a downshift if you’re driving a manual transmission vehicle. This can only happen if the transmission valve body is not receiving the transmission fluid for whatever reason. Without the fluid in the valve body, there won’t be any pressure placed on the gears. As a result, the gear will go from a higher gear to a lower gear as you’re driving. 3) Slippage When Shifting Gears – Shifting gears is normally a smooth process which feels firm and secure each time you switch to a new gear. However, if you have a bad transmission valve body, then you might experience slippage with the shifting stick as you go to use it to change gears. A slipping shift stick will become very annoying as you’re trying to change gears behind the wheel. It could also make driving quite hazardous as well. 4) Banging Sounds – If you hear banging sounds as you’re changing gears, especially when going from reverse to drive, then you probably have a faulty transmission valve body. You might also hear noises for this reason if you step on the brake pedal as well. Of course, there could be a variety of reasons for braking sounds to occur, but a bad transmission valve body should not be discounted as a possibility if the noises occur while shifting gears as well. 5) Weak Performance – This symptom coincides with the downshifting symptom. If you have gears that are dropping from high to low as you’re driving, then your vehicle will not perform very well on the road. You will have difficulty speeding up and maintaining a consistent speed on the road. This is something you don’t want to risk doing for too long. As soon as you notice it happening, you should take your vehicle to the nearest mechanic and have it taken care of. When it comes time to purchase a replacement transmission valve body because your current one is malfunctioning, you can expect to pay an amount between $290 and $910. The make and model of your vehicle plays a huge factor in what the total cost of your transmission body valve will be. Most people end up paying between $190 and $510 just for the part alone. Then you need to concern yourself with the labor costs of the replacement job. Different auto mechanics are going to charge different hourly rates. For a transmission valve replacement job, the labor will likely cost you $100 to $400. It all depends on how long it takes them to replace this component, which is usually not a fast process. Also, the mechanic will add taxes and fees on top of these amounts.